How Can You Achieve Success In The PMP Exam? 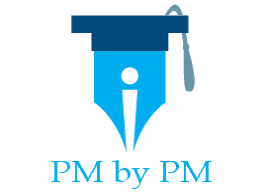 / How Can You Achieve Success In The PMP Exam? The title of this post is most obvious for the PMP aspirants. All of you would be looking for PMP exam success. Who wouldn’t? Good study material goes a long way in achieving success and passing the exam in first try. Self-discipline is another ingredient for success. In today’s post, I am sharing the PMP success story of a Reddit user. He recently passed the exam in his first try. I think his experience will be useful for you. I would like to congratulate him and wish him good luck for the future. Next words are from him. Been a couple of weeks and I’ve been away from Reddit. Holidays and all that. But I passed on my first sitting. Holy crap. What a test. It was hard. But totally achievable. PMP Prepcast. He is the man. Take those lessons in…..worth every single penny. Brilliant. Do integration last. PMBOK Guide 1 readthrough while watching Prepcast. Then spot reading while taking sample tests later. Andy Crowe’s book and sample test within. My chapter’s boot camp. 35 contact hours and great team support. PM Prepcast sample tests. Paid. Again, worth every penny. Reading all the reference material on the PMI website. EVM Std, WBS Std, Config Mgt Std, Scheduling Std. All helped to boost understanding/context of the PMBOK. I bought Rita’s book but only browsed it. Took a total of 2800 sample questions in the 2 months prior to the test, including 6 full 4-hour exams to build stamina. 50 and 100 sample question runs to find weak areas. 4 full sample tests over 3 weeks interspersed with review sets of fewer questions. 2 full tests the Friday and Saturday before my Monday test. Then I spent Sunday playing my bass guitar, and let stuff move from short term memory into wherever it is is that I store learning. Mostly situational questions. Here is your project. This is your situation. Here’s some more detail. What is your next step/ what did the PM miss doing? I had maybe 12 questions where I had to use the calculator. EVM, EMV, schedule, comm channels. Perhaps 10 straight ITTO questions. Which of the following is input to X process? Really. You have to know these. There were 3 questions that I was like WTF? There was no clear answer. Clearly 3 of the 25 experimental questions. I did my 200 questions in approx 3hrs 20min inclusive of 2 10 min bio breaks. I marked 12 questions, which I then reviewed after a second 10-minute bio break. Ended up only changing 2 answers for the better, based on questions from later in the test. My goal was 60 questions an hour, in blocks of 100-75-25. Bio break after 100, 75, 25. In my sample tests, I was averaging between 1 min to 1:25 per question. Some are 35 second quick hits Others are 2:00 – what the f*k are they asking? You’ll see. But you can do it. I ate breakfast at home. High protein (eggs and meat). Low sugar. Few fluids. Traveled to the test center for 1 hour, had another high protein sandwich in the car before entering. I didn’t bring any food into the test center. But did drink water from a fountain at each bio break. Getting back to the PMP Prepcast questions. During the test, I felt that I was having deja-vu. The Prepcast questions are like a dry run of real questions. It’s uncanny. Deja-Vu. Pay the man, and you’ll see. It’s crazy. I can’t make a higher recommendation. The Prepcast itself, I was hearing bits and pieces of the wisdom as I was eliminating choices. Again, worth every penny. I specifically remember some of the test questions. I can’t share them, ever. But I’m telling you – know the processes, where they fit in the knowledge areas and process groups, and the ITTO’s., You don’t have to memorize ALL the ITTO’s but you have to know the logical flow and what makes sense. There IS a method to the madness. You will be asked for positive and negative questions. What does the PM do next? What did the PM miss? What a NEXT step? The right answer could be 2 processes down the flow. But it’s the best answer, thus it’s right. ITTO flow folks. Or 2 processes before in the case of what went wrong. Good luck. PM me if you have specific questions. I’ll do my best to guide you. Which study material are you using? What is your preparation style? Are you feeling confident about the exam? Let me know through your comment. How Many Questions To Be Practiced Before Exam?